The Sturbridge Rotary Club is one of 53 clubs in Rotary District 7910 and celebrated its 40th anniversary in June 2012. Sturbridge resident, Russ Burton, was a member of the Southbridge Rotary Club and with the Southbridge Club’s sponsorship started a club in Sturbridge. Rotary International granted a charter to the Sturbridge Club on June 30, 1972, thus becoming the 50th club to be chartered in Rotary District 7910. Russ actively recruited members and on October 20th, a gala Charter Night Celebration took place during which 26 charter members were inducted into the new Sturbridge Rotary Club, which mainly accepts members from the towns of Sturbridge, Charlton, Brimfield and Holland. During its 40-year history the Club actively pursues the Five Avenues of Service – community, youth, vocational, international and club. Please see details in the Club Brochure located in the About Us tab. Rotary International had historically been an all-male organization. In 1988 professional women began joining Rotary. The Sturbridge Club welcomed its first female member that same year and other women followed thereafter. While Club members were uneasy at first they quickly realized what a benefit it is to have the ideas, energy, and work ethic of successful women. Sturbridge Rotary became twinned with the Rotary Club of Stourbridge, England. The twinning of the clubs had its origin when members of the Stourbridge club joined us in May 1988, as Sturbridge celebrated its 250th anniversary as an incorporated town in Massachusetts, USA. Over the years the two clubs have worked together on joint projects. Right from the beginning of our twinning, the two clubs started alternating regular visits with spouses every three or four years to further develop fellowship and a strong working relationship. We invite you to visit the About Us tab, Sister Club, International Visits. Also visit the Projects tab, International, Humanitarian Projects. Both of these tabs detail the work and fun the twinned clubs have had and continue to have. Through the Rotary Foundation each club can name someone for ‘recognition’ called the Paul Harris Fellow. By personally contributing $1,000 to the Rotary Foundation, either the Club, a Club member, a company or business can recognize someone as a Paul Harris Fellow. The recipient does not have to be a Club member. To date the Sturbridge Club has an impressive total of 58 Paul Harris Fellows. Not included in this total are the individuals who have received this recognition multiple times. Besides the impressive number of Paul Harris Fellows, our Club is one of few Clubs our size to boast of having two former Rotary District Governors in our District 7910. A district governor is nominated by the clubs of his/her district and formally elected by all the clubs at a meeting held annually at the international level. Carl Kaliszewski served as District 7910 Governor in 2004-2005. Klaus Hachfeld served as District 7910 Governor in 2008-2009. As such, each DG personally visits every club in their respective district. Our District is comprised of 53 clubs. The district governor appoints assistant governors from among the Rotarians of the district to assist in the management of Rotary activity and multi-club projects within the district. 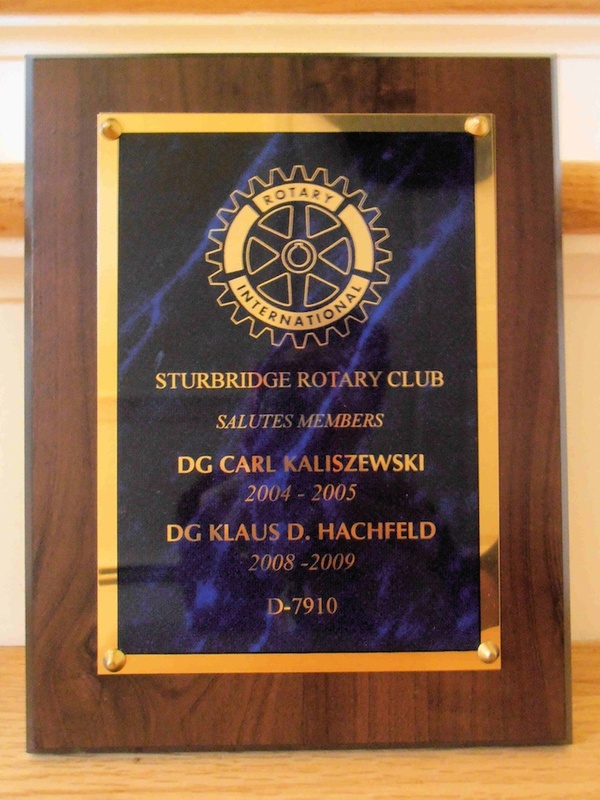 In 2010 the Sturbridge Club named six non-Club members as Honorary Rotarians. These six honorary members are spouses of current members. Like many clubs, Rotary is embraced by the family and as such these individuals work right alongside the members at most all events. 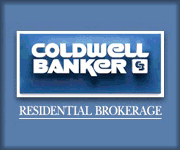 They bring added value through ideas, energy, humor and doing whatever needs to be done. They, too, practice Service Above Self. On May 28, 2012 Sturbridge expanded its War Memorial in front of the Town Hall to include all conflicts including one for the Revolutionary War and a plaque for the Iraq and Afghanistan wars. Sturbridge Rotarians purchased a memorial stone to honor all veterans which was planted at the base of the flagpole. Rotarians and spouses attended the dedication ceremony along with Sturbridge veterans in uniform from WWII, Vietnam, Korean, Gulf and other recent battles. The Tantasqua Regional High School band played patriotic songs. It was a moving and inspirational event honoring all veterans. Rotary is not all work and no play. We have fun as we work and we socialize together as well. 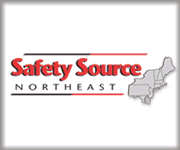 This is evidenced through our many activities such as baseball games, concerts, visits to Old Sturbridge Village, theater evenings and parties. For further details on Sturbridge Rotary or on how you can join us, please visit all the tabs in this website.